Naéco, our multi board sports school is set up in the Landes department, located between lakes and the ocean. Come and relax in Azur thanks to our Hawaiian outrigger canoe tour. We will welcome you at the edge of the lake, a peaceful place, perfect to relax or have a picnic. You can also discover the magic of board sports through our surf and Waveski school, which is located at the Messanges sud beach. 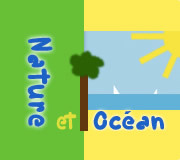 Certified instructors passionate about nature and eco-aware are supervising all of the activities we are offering. They will share with you the values of board sports. In this way, you are in the safest hands to enjoy our services from beginner to expert level. Don’t hesitate to contact us for any special request or further information! See you soon! !